We design, develop, and deliver burners gas fired driers. Efficient by more than 20% in energy saving when compared to the other burners available in the market, our burners are competently priced and are at par with international quality norms. We are a trusted manufacturer, supplier and exporter of burners made using high quality brass and other suitable metals. Biomass pellet burner is a clean and economical alternative for providing energy for Boilers, Ovens, coating, heating and drying industries. 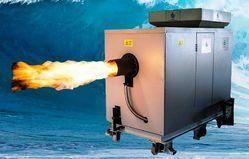 The burner combines the necessary ingredients for complete combustion—heat, fuel and air—to produce a clean-burning flame to heat the boiler or furnace. The burner ignites the Biomass pellets, supplies combustion air and monitors the flame for proper operation. Design features of the burner allow for very high temperature combustion without suffering the effects of corrosion or thermal breakdown. The burner operates on gasification principals to provide for the most compete combustion possible. Primary combustion air gasifies the wood pellets within the burner, then pre-heated secondary combustion air is injected to produce the same heat output as an oil burner. Biomass pellet burner has a intelligent PLC based control system which is fully automatic and controls the proper feeding and air blowing rate. This also have a early warning system which detect any form of malfunctions in the system or empty hopper etc. Biomass is biological material derived from living, or recently living organisms. It most often refers to plants or plant-derived materials which are specifically calledlignocellulosic biomass. As a renewable energy source, biomass can either be used directly via combustion to produce heat, or indirectly after converting it to various forms of biofuel. Conversion of biomass to biofuel can be achieved by different methods which are broadly classified into: thermal, chemical, and biochemical methods. Wood Pellet fuels are heating fuels made from compressed biomass. 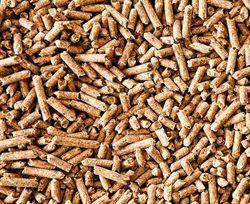 Wood pellets are the most common type. A form of wood fuel, wood pellets are generally made from compacted sawdust or other wastes from sawmilling and other wood products manufacture. Pellets are extremely dense and can be produced with a low moisture content (below 10%) that allows them to be burned with a very high combustion efficiency. Further, their regular geometry and small size allow automatic feeding with very fine calibration. They can be fed to a burner by auger feeding or by pneumatic conveying. Their high density also permits compact storage and rational transport over long distance. 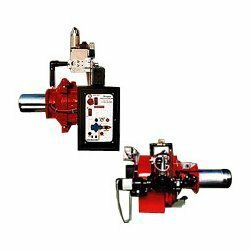 We offer uniquely designed Gas Fired Burner for gas fired driers. The efficiency of our burners is visible in comparison to others available in the market. Our burners are 20% more energy efficient and are widely preferred by industrial buyers owing to this advantage. We quality approved each product manufactured assuring optimum performance and reliability. Our burners are competently priced and can also be custom manufactured.